Delicate, subtle and refined, a fundamental Ingredient of Japanese cuisine. Haku Iwashi Whisky Barrel Aged Fish Sauce is Master crafted following ancestral methods dating back to the edo period, 400 years ago. 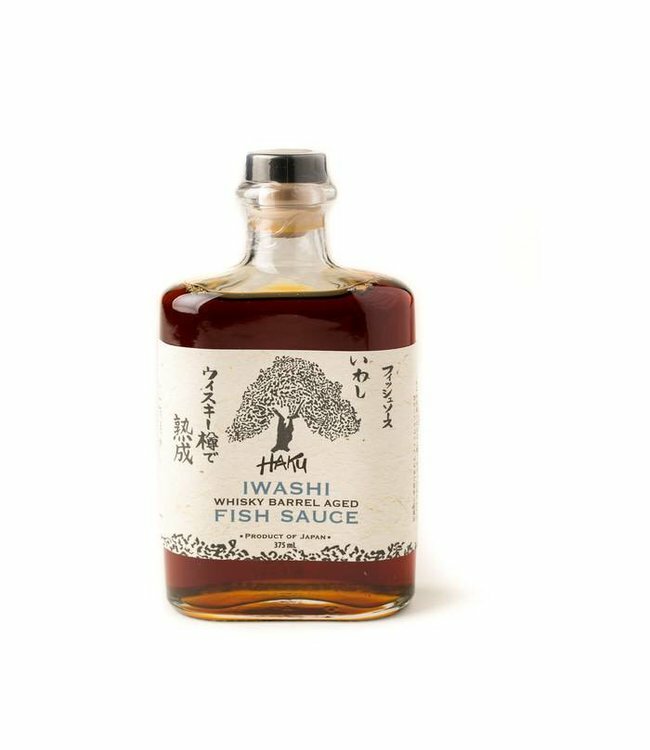 Using only the Iwashi sardine from the Sea of Japan which is much bigger and fattier than its Mediterranean counterparts, Japanese Iwashi fish sauce is first aged 2 years before it is further refined and aged an additional 12 months in Japanese Whisky Barrels. Yielding a more mellow, delicate texture and flavor with an understated sweetness, this is quintessentially the perfect finishing and cooking sauce.